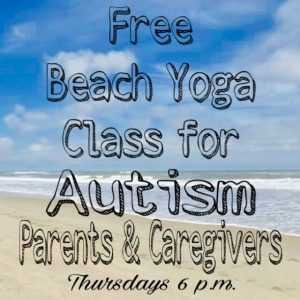 We wanted to share another reminder of our Folly Beach yoga class for autism parents and caregivers. The class is free to all autism parents and caregivers and meets Thursdays at 6 pm at the beach on 5th Street East. No experience with yoga is necessary. Being a towel, or mat if you prefer, and plenty of water to drink before, during, and after the class. The picture on the left side was approximately 6 months after I gave birth to our oldest son. At less than 5’4 tall the extra 104 pounds were literally and figurately weighing me down. I could barely keep up with my child and felt uncomfortable and unhealthy in my own skin. Since the picture on the left Matt and I have had 2 more children, and I’ve gained and lost another 90 and 60 pounds respectively–for a total of over 250 pounds lost (plus some) over the years! The picture on the right was taken this past Thursday–BY the baby in the photo on the left!! 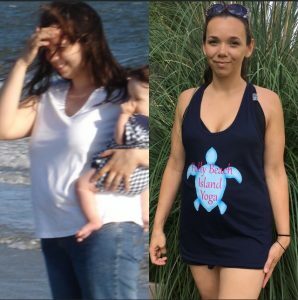 Yoga and a (reasonably) healthy diet were the biggest keys in my weight loss–and they can be for you too. 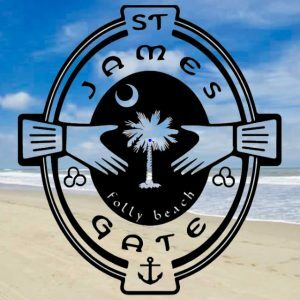 If you are in the Charleston, SC area chedule a private yoga lesson with us, or plan a few minutes to talk before or after one of our public classes on the beach at Folly Beach, Kiawah Island, or upstairs at St. James Gate Irish Pub on weekends. You will never find a bigger supporter than someone who has stood in your shoes before! 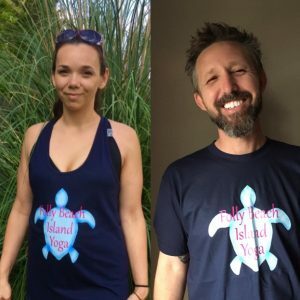 We just got these fun new sea turtle Folly Beach Island Yoga Shirts! 🐢Similar shirts will be available for sale shortly on our schedule page. 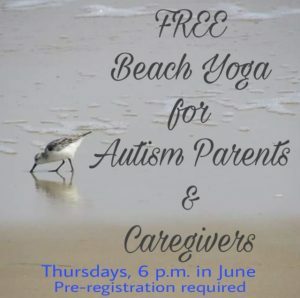 Autism parents and caregivers: Please join us on the sand for a free beach yoga class Thursdays at 6 p.m. during the month of June on Folly Beach, SC. Class is open level. No experience with yoga is necessary– bring cold water and an oversized beach towel or yoga mat if you prefer. Please message us to pre-register.